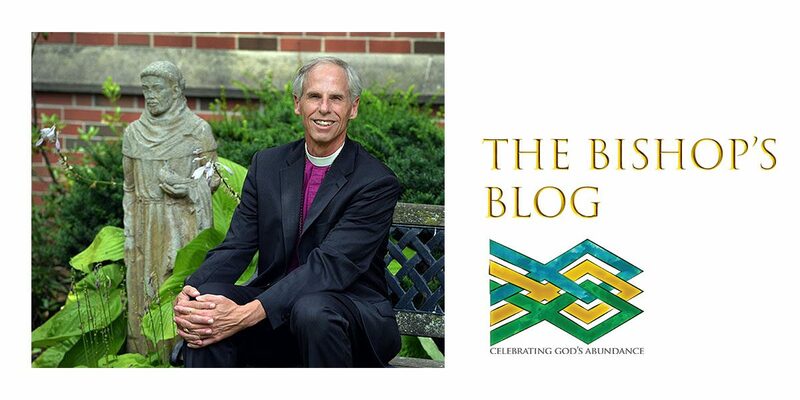 It’s been wonderful watching the world meet our Presiding Bishop. 29 million people heard Michael Curry preach, as only Michael can, on the joyous occasion of a royal marriage. I’ve enjoyed the excitement and the opportunity this event created for evangelism – for reaching out to new seekers who want some of the joy and hope we have found in Jesus. But it’s Monday morning and we’ve got work to do. It’s time we move from Windsor to Washington, DC where “that guy from the royal wedding” will walk in prayerful vigil to the White House. As a signer of Reclaiming Jesus: A Confession of Faith in a Time of Crisis, Presiding Bishop Curry has made it clear that we are about the Gospel of love, solidarity with the poor, the marginalized, the immigrant and the refugee. Time is up for those who have used the Christian faith as a weapon, co-opted a message of compassion and used it to amputate away parts of the Body of Christ. As Michael Curry moves from the wedding feast to witness at the center of power, let’s go with him. 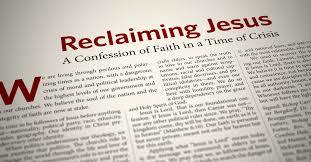 Let’s read this statement as individuals and in our congregations. Let’s mine it for wisdom and Tweet out the sentences that resonate with our experience of this time. Signing this statement took moral courage. Let’s celebrate that our Presiding Bishop is more than a great preacher. He is a follower of Jesus and that road will never be easy. It’s also time to send our children to school unafraid. It’s time for our cities – where children of color fear the walk to and from school – to be safe again from the threat of gun violence. There are too many schools to list, too many names of children who will never know a wedding day. #Parkland is past, and now it’s, #SantaFe. We cannot lose heart even as our hearts break. On Saturday morning June 2nd I am speaking at the first gathering of a new branch of the Massachusetts Coalition to Prevent Gun Violence in Worcester. The State Democratic Convention happens to be meeting in Worcester and we have invited them to join us. On Sunday June 3, I will wear an orange stole as a sign that no human being should ever be a target. 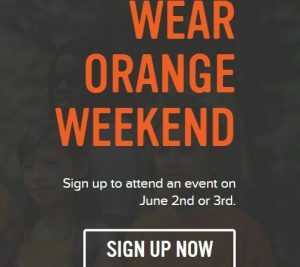 Wear Orange Weekend starts on June 1st — National Gun Violence Awareness Day. Bishops United Against Gun Violence is a partner in this effort. We are all weary of the cycle, but it’s more important than ever to stay with the movement, to give one another strength for this witness. Just as we keep returning to Smith and Wesson, we will continue to mark the death of Hadiya Pendleton, a black Chicago teen murdered by gun violence in 2013. Our Presiding Bishop has charged us with racial justice and reconciliation. The epidemic of gun violence highlights the intersectionality of the issues we face. It’s time to take action on climate change – together. On Wednesday I will join Bishop Alan Gates and the Rev. Dr. Margaret Bullitt-Jonas at a joint press conference with Cardinal Sean O’Malley. Unprecedented changes to our fragile island home have brought together people of faith and science. 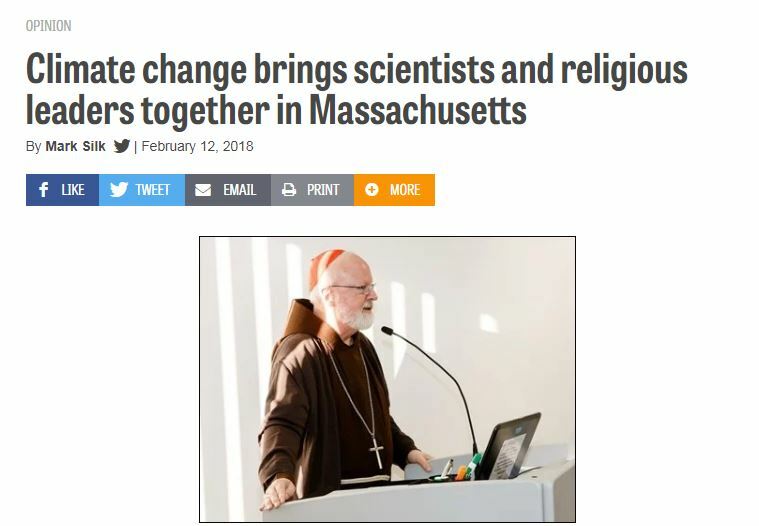 Faith and science are the gifts that will enable us to reverse damage done and chart a course that is true to our interconnectedness with earth. It’s Monday morning, my friends. The party is over and it’s time to get back to the sacred work of Reclaiming Jesus, standing against racism and gun violence, and advocating for the earth. Copyright © 2019 The Bishop's Blog. All Rights Reserved. Designed by bavotasan.com.